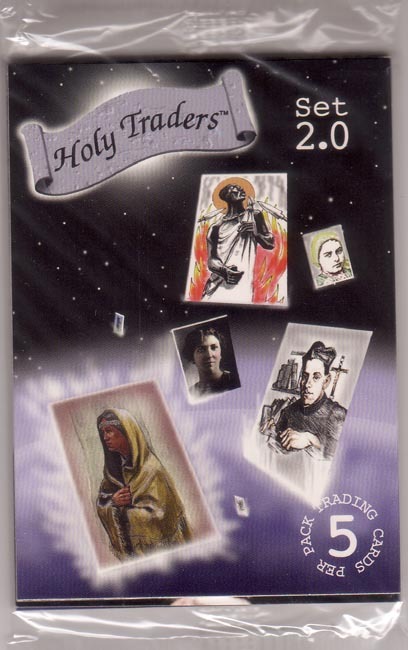 Each cello wrapped packet contains 5 randomly chosen cards from Holy Traders Set #2. Facilitates the trading aspect of the Traders. Hand out the "wraps" at special events like All Saints parties and watch as kids open up the wraps and trade their cards.